You’ve waited all year to get a new car. Thanksgiving has passed and the end of the year is nearly here. 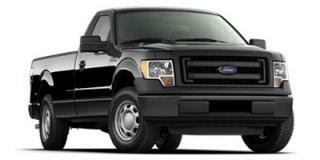 New auto dealers are anxious to make great deals on 2013 new cars before the year ends. For anyone shopping for a new vehicle there are great deals to be had from most manufacturers. Many times manufacturers of the best-selling models keep the incentives strong to maintain their dominance in the category. 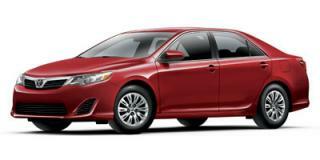 Best Selling Sedan: 2013 Toyota Camry – The Toyota Camry has been America’s best-selling passenger car for the past decade. This top-seller is known for reliability, comfort and a lot cost of ownership as well as high resale values. The car is offered in 6 different trim levels with options for a 2.5L 4-cylinder or 3.5L V6 engine. Two hybrid models are also available. Best Selling Coupe: 2013 Honda Accord – Completely redesigned for 2013 the Honda Accord is still the top selling coupe in America. It was a Top Safety Pick from the IIHS. 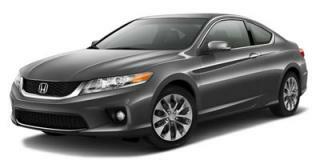 The Accord was also named best mid-size car in Kelly Blue Book’s 2013 Best Resale Value Awards. The coupe’s handling and performance have both been praised by many reviewers. Best Selling SUV: 2013 Ford Escape – Another 2013 redesign, the Ford Escape edged out the Honda CR-V as the top-selling SUV. 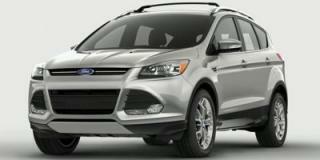 The new Escape has a modern look and compact design that offers improved safety, aerodynamics, and fuel economy. The interior has also been upgraded and incorporates more recycled materials for a “greener” vehicle. Best Selling Truck: 2013 Ford F-150 – The Ford F-Series continues to be America’s best-selling truck and Ford offers a multitude of options with several bed lengths, four different engine options, and three different cab options. Eleven different models are offered for just the F-150. There is a truck for everyone from construction workers to serious off-roaders. 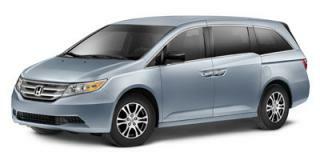 Best Selling Minivan: 2013 Honda Odyssey – Honda offers the only minivan with a 3-mode second-row seat that can be set wide for passenger comfort, narrow for access to the third row seats, or folded flat for cargo. The Odyssey has also been praised for its sporty handling with a 3.5L V6 that puts out 248 hp. Sound insulation and active noise cancellation offers a quiet ride. These top-selling vehicles are all great buys and will have terrific resale values as they are very popular. AutoBuying101.com can help you compare prices from multiple dealers on these vehicles and more so you can find the best year-end new auto deals.